Highgate village has little to offer in the way of good coffee. However, it is flanked on its western and eastern sides by two small enclaves – Highgate West Hill and Highgate Station – that between them offer a handful of good venues, even if they are quite a distance away from the centre. 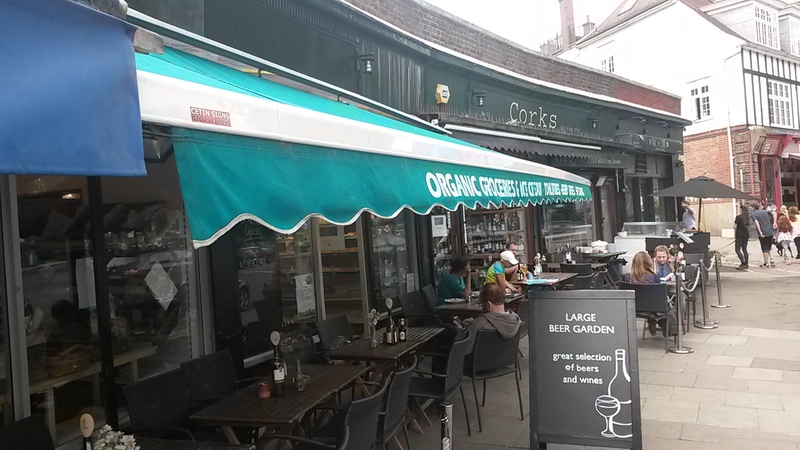 Today’s cafe/wine shop, Forks and Corks, is situated on the West Hill which lies just off Hampstead Heath. There is also a bit of confusion over its actual name as I’ve always known it as Forks & Corks but its website calls it Corks & Forks (though its Facebook page goes with the former). The coffee here would have once been quite fashionable. 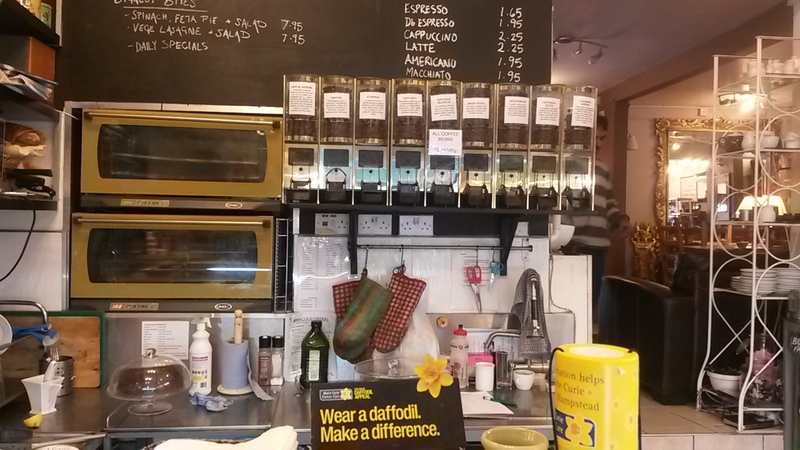 Inside, it offers a selection of beans from around the world, showing that it is clearly interested in coffee. However, it serves the cappuccino in the Italian-style, with a strong double espresso topped with a splash of milk and a light and airy foam, unlike the modern creamy micro-foam drinks. And I’ve got nothing against it. It was intense and full of roasted flavours. What it missed was the depth – this was due to the preparation, not the beans, which goes for strength over subtly. Still, it’ll get you going for a walk on the nearby heath. The majority of the seating for this cafe is outside and it’s a great spot. A leafy, suburban street with views across the road to the heath, it’s like being in a small country village. It is covered with a huge awning to keep off the summer rains and is often filled with dogs fresh from their runs on the heath. Inside is a bit chaotic, not knowing whether its a shop, cafe, deli or supermarket. A difficult one to judge as when I went the deli’s shelves were pretty bare inside. It did offer a good selection of lunch dishes, baked goods and more. The granola bar I chose was seal-your-teeth-together sticky, but was also full of crunchy nuts. Friendly but lacking a bit of focus. The waitresses seemed more concerned by what was going on behind the scenes than by my order. 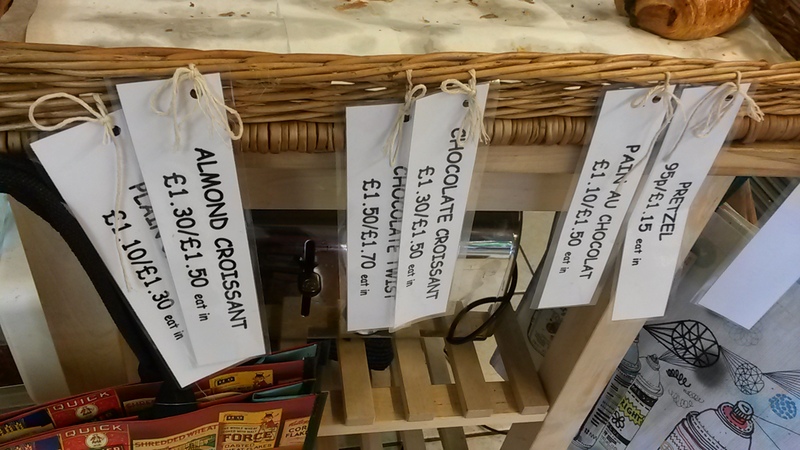 The wine bar/wine shop and deli make this more than just a cafe. It also runs regular events and offers itself out for hire. 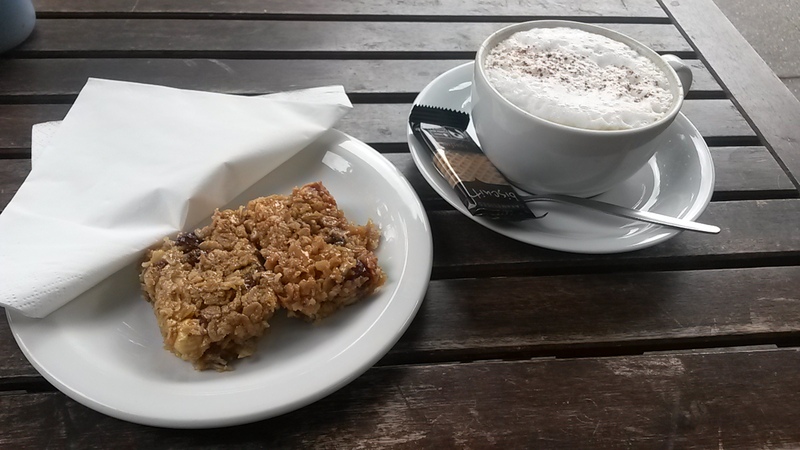 A great place to stop after a long walk on the heath for a snack and a pick me up. However, the whole place feels like it could do with being updated.